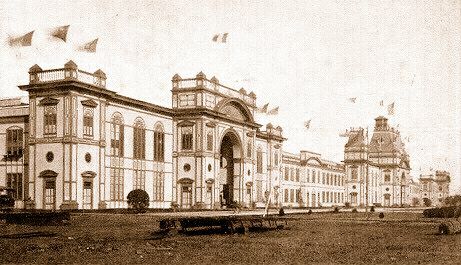 Located at the west end of the Avenida de Palacios, the Palace of Science occupied the former California State Building of the 1915-16 exposition, and faced the Plaza de Mexico; formerly named the Plaza de California. 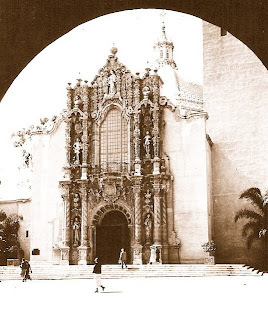 Prior to the California-Pacific International Exposition the permanent reinforced-concrete structure, with its tiled dome and two-hundred foot tower, contained the educational collections of the San Diego Museum. The museum temporarily re-arranged many of their permanent anthropological exhibits to accommodate new scientific displays for the duration of the exposition. Exhibits representing every branch of science, from the most abstract of pure science to the latest innovations in the applied sciences, were shown. One of the more popular displays in the building was "Alpha the Robot", a 2,000-pound chrome-plated steel giant, who performed numerous tasks upon simple spoken command.